Can the security industry be trusted? Ethical questions around incentives and commissions in Australia’s banking industry, writes Institute for Business Ethics’ New Zealand Representative Jane Arnott, are worth asking within the context of New Zealand’s security industry. With the banking sector already on the receiving end of a damning report – despite pleading that ‘it won’t happen again’ – the ethical behaviour of all sectors is now potentially in the spotlight. 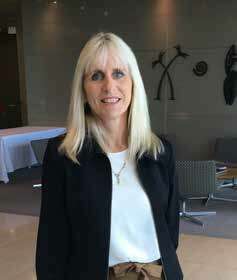 Jane Arnott is IBE's New Zealand Representative, and Director of JRA Associates. Right now, the impact and repercussions of non-financial risks to a sector or company is high on the business agenda. Trust is an essential component of any business relationship, but more so for a sector which safeguards security. Nonfinancial risks rise in importance when consumer trust and confidence is eroded. Any sector that fails to live up to expectations about how they conduct their business – and how their employees behave – risks losing that trust, and as a result, its license to operate. Questions to ask The question for the security industry is: could that happen to you? As an industry, are you confident that you are operating to highest ethical standards at all times? Regulatory compliance is one measure to determine trustworthiness, but ethics begins where the law ends. While the law is black and white, ethical challenges inhabit the grey areas. It is impossible for regulatory authorities or the law to detail every situation, and that’s where a code of ethics, built on the industry’s values, can provide guidance for individuals to empower them to make decisions with responsibility and fairness. It is not a check list of instructions to follow. 1. Transparency: do I mind others knowing about it? 2. Effect: who does my action affect? The Australian Royal Commission identified how an aggressive sales culture created a toxic ethics environment in the banking industry. But whatever the business, in an environment where winning sales is paramount, good judgement is clouded. Short term, personal gains are prioritised over what service or product mix meets the customer’s needs. There is pressure on all sides for companies to perform. The demand for profits means companies need to sell more, quicker, cheaper and retain more market share. Goal setting has long been seen as an effective management technique, and one which helps companies to measure and improve their performance. The best way for organisations to measure and report on how they are doing, both internally and externally, is to create targets and drive to meet them. However, research indicates that although most people are basically honest, those who are set specific goals were more apt to cheat than those who were simply asked to ‘do their best’, regardless of whether there was financial encouragement. Although employees respond well to the motivational use of targets and goals, it seems that when there is a lot at stake, for example, if a job is on the line or a significant bonus is in jeopardy, employees are more likely to behave unethically in order to achieve targets. If an employee cannot speak up or challenge then more is likely to be at risk, including ultimate reputation loss. A climate of competition can encourage staff to put their personal goals (achieving the target, beating their colleagues) above those of the company or society at large. Micromanagement by managers under pressure to meet targets can create an atmosphere of mistrust. Staff do not feel trusted, and in turn are placed under pressure to achieve ‘whatever it takes’; but at what cost? A major NZX listed construction company fell after it was revealed that substantial bonuses had been paid out against winning major construction contracts through under bidding. The fall out continues to this day. Within the Australian finance sector, banks that paid the highest commission for their products were seen to distort the customer focus. High incentives were viewed as influencing mortgage brokers to direct their clients to them. This is an example of the downside of the pressure to reach targets. A lack of empathy for stakeholders, compounded by poor systems and controls meant that those tasked with overseeing operations did not understand what was going on in the organisation. This is the kind of bonus culture that needs to change. The adage that ‘what gets measured gets managed’ rings true. Acknowledging and celebrating ethical behaviour sends a signal that how you do your business is as important as what you achieve. • supports employees in following the organisations standards of ethical behavior (80 percent vs 60 percent). Employees who have been aware of misconduct during the past year at their place of work and who work in organisations that provide ethical incentives are also more likely to have spoken up about their concerns (83 percent) than those in similar position in organisations that do not (57 percent). Commission structures can often be contentious, especially when there is a lack of transparency. This usually means when customers have no idea that a commission is being paid, the quantum involved, or when organisations fail to assess the risk that commissions may pose in influencing recommendations. Within the Australian finance sector, big commission-based incentives offered by the banks were viewed as influencing mortgage brokers to direct their clients to them. It was found that when commissions are based on the size of the loan, the incentive, or risk, is too great for mortgage brokers to recommend higherthan-needed loans. Further, a 2017 study of the home loan industry by investment bank UBS found that up to a third of mortgages were ‘liar loans’ that may have been massaged to help the borrower get a bigger loan than they should have been eligible for. It is unsurprising, therefore, that the Australian Royal Commission included the recommendation that all commissions ultimately be axed and replaced with upfront fees paid by the borrower, or customer, rather than the bank. The questions for the security industry could well be around the incidence of commission payments and how these may be influencing subsequent judgment and recommendations. 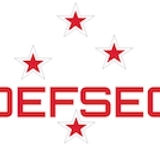 Capital Markets Development (CMD) taskforce’s comment that “in New Zealand financial advisers had varying degrees of expertise and independence and an associated low reputation,” could equally refer to the security industry. Is the security industry at risk of tumbling consumer confidence? That’s a question best discussed and answered from within. What the IBE can say is that where there is a public perception that business is not being held accountable for its actions it follows that there is significant negative impact on how much people trust organisations to contribute to the development of society. The security industry would be no exception to this. It is paramount that organisations of all sizes step up their commitment to be a positive driver of change, adopting governance frameworks that go beyond what is required by law. In the fast pace of technological advances, it can take time for the law and governance structures to keep pace, which is why an ethical culture is a critical component. With developments in artificial intelligence, applying ethical values to decision-making can help ‘do the right thing’ as new territories are explored, with the NZSA’s public interest value at the heart. Setting the tone from the top, making explicit the ethical values and frameworks that reward ethical decisions goes a long way to guide employee behaviour and promote integrity. Using ethical values as a guide will help the security industry deal with emerging issues like cyber security, and potential conflicts of interest between customers, society and the business. An ethical awareness will build a strong reputation that the sector can be trusted.